Pillar surmounted by a carved open book. The inscription is incised on the open pages of the book and the plinth. 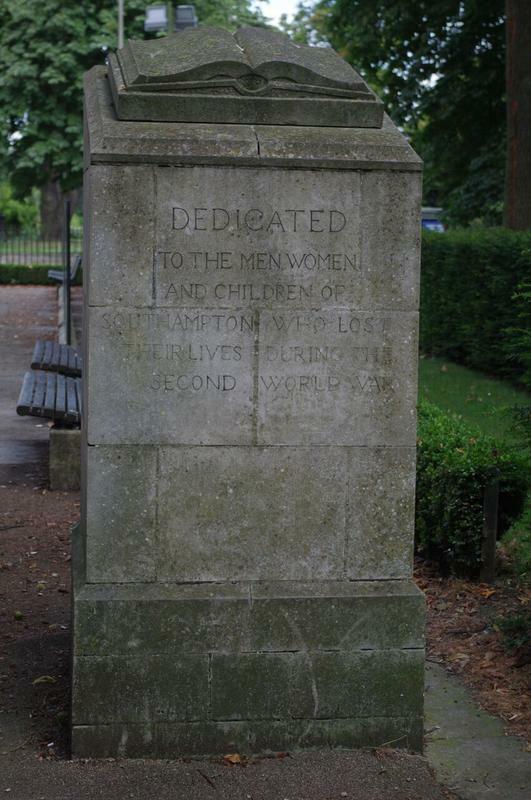 This pillar is one of a pair situated at either side of the Southampton Cenotaph.